In India, one can hardly imagine a home that is not equipped with a fan. They are everywhere, and you can guarantee that even the smallest retail outlet is going to have one. Since a fan keeps its working area cool by moving air around, buying the right type is important. It keeps a room cool during the hot months of the year. It is perfect for the monsoon months when there is a lot of moisture in the air and the dampness can have a negative effect on the functioning of the air conditioning system. It saves on your electricity bills. It is a highly cost-effective home appliance. It can give you years of comfort without any worries. 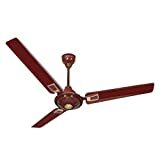 Ceiling fan: This is by far the most common and it gets its name from where it is installed, i.e., the ceiling of a room. Table fan: This is perfect for direct cooling. For instance, you can put it on your bedside table for maximum comfort at night. Pedestal fan: This fan comes on a pedestal and it can usually cool large areas. It is perfect for business establishments and bigger rooms. Wall fan: This fan can be fitted onto a wall and is meant to be used to cool smaller areas or corners which do not get a lot of air. For example, if there is a passage in a business establishment that does not get any air from outside, choosing a wall fan is a great idea. Tower fan: A tower fan is a type of a column fan that has a rectangular outlet that faces the floor while the upper outlet is one from which the air comes out. The height of a tower fan is adjustable depending on your requirements. It is perfect for taking down the temperatures of larger dining or living rooms. If your home has larger areas which need cooling, this can be the perfect choice. Buying a fan is not just about buying the first one you see. Here are some great tips to help you make your choice. The right type: Buy the type that is required by the room you are buying it for. For homes, a ceiling fan for every room is essential. You can choose different types for a business establishment. 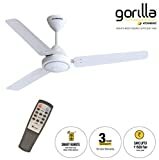 Great air delivery: A fan should be able to provide great air delivery, otherwise buying it is futile. You can ensure this by choosing one that has at least 3 blades. 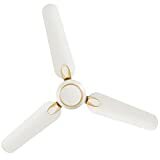 Energy efficiency: It is a good idea to buy a fan that is high on energy efficiency. For this, buy one which has a high energy star rating. As a consumer, you must know that energy ratings are updated every year and so buying a product that has the latest energy rating is essential. Proper installation: Another tip to keep in mind is to make sure that the installation of the fan is done correctly. You can do this by choosing a technician who is qualified to install fans of all types. Usha: The most important thing about Usha is that it is a name that has stood the test of time and is a highly respected company in India. Khaitan: The name Khaitan is synonymous with fans and you can choose from several varieties available. Standard Electrical: This is a brand with modern sensibilities and is known for its excellent products. R. Kabel: Another of the stalwart fan brands in India that has high-quality products on offer.